Perfect for the shower, providing reliable slip protection on non-textured surfaces. 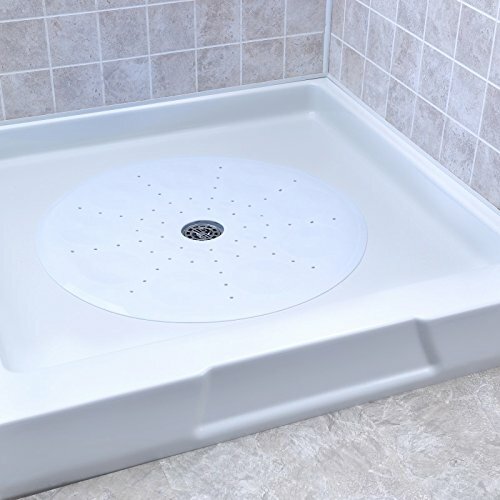 Our popular Essential Round Shower Mat is specially sized and shaped to provide convenient floor coverage in standard shower stalls. Measuring a generous 23 inches in diameter, it features over 80 suction cups for reliable slip-protection, and durable vinyl for years of use. Easy to clean - simply hang and air dry after use, or machine wash with your everyday laundry.